Multiple sources are suggesting the Windows Phone 7.8 update may land on the current crop of WP 7 handsets this week. WMPoweruser received a tip that the update would arrive on Wednesday, although it's unclear how reliable its source is. Meanwhile, Chinese site WPDang has also got wind of the November 28 release date for the upgrade, adding a bit more weight to the rumour, but we still remain sceptical as we've heard nothing on this from official sources with only a couple of days to go. Phones such as the Nokia Lumia 800, Lumia 900 and ZTE Tania run Windows Phone 7.5, and all handsets on this platform are not compatible with Microsoft's latest operating system Windows Phone 8. 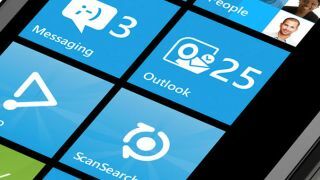 However instead of completely shunning these legacy handsets, Microsoft is furnishing them with a less feature-packed update, which will see the new live titles move onto the older phones. If you're not sure what difference Windows Phone 7.8 will make to your handset, a handy little video has popped up online apparently showing the software upgrade running on a Nokia Lumia 510.